A contractor we often work with recommended his client see us for product selection. 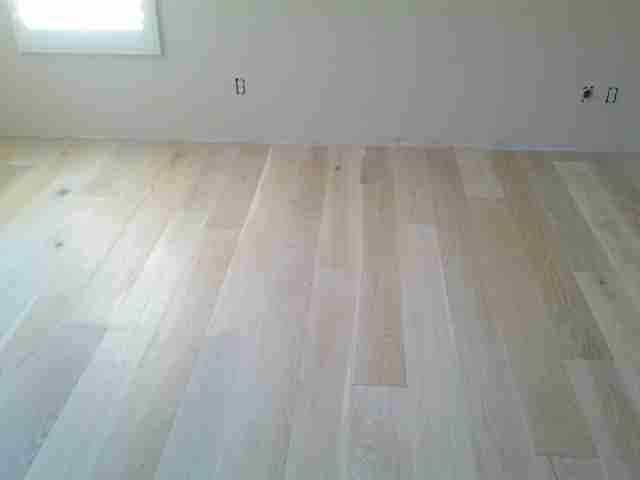 The homeowner was looking for French White Oak Hardwood Flooring for the master suite of his Carmel Valley home. We suggested this beautiful, custom milled 7″ wide, oil finished product which is constructed of the cleanest grade French White Oak . The homeowner liked the wood and chose this sandstone color. Every effort was made to create the custom light color the client was looking to achieve. Seen here is a hallway leading into the master bedroom. Initially, only the bedroom was to be done. 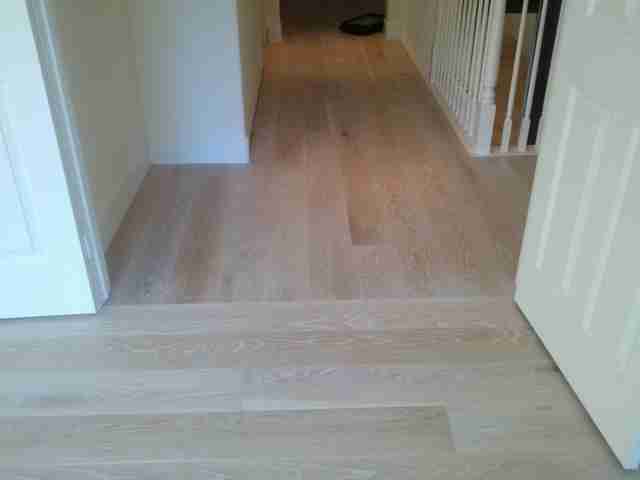 But the the customer was so happy with the product, he decided to have the hall done as well. The change of direction required extreme attention to detail on the part of our installers. Their experience and knowledge enabled them to create a smooth transition between the two areas. Even though the floor is light, there is just enough shade variance to keep it from looking washed out in the light filled areas. And because the floor is wire brushed and oil finished, the natural character of the wood is visible, giving it a contemporary rustic appeal. 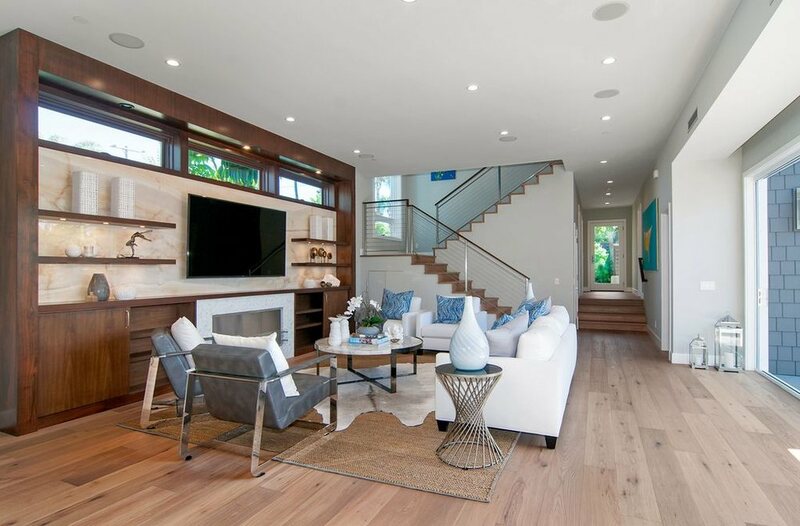 The color and texture make this floor perfect for a pristine home near the beautiful Torrey Pines State Preserve and Beach. Oak hardwood flooring is better for your home, it is easy to install and maintain, and without regular and careful maintenance, It is much as durable as you lie to install.